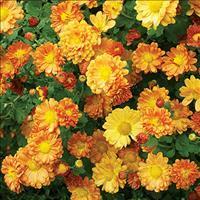 If you are into downsizing your lawn area, try planting lots of mums. They stay dark green and thick all summer (just like a lawn) then explode into bloom in the fall. 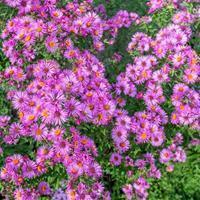 Shear to the ground in early spring and grow in rich, well-drained soil. September to October bloom. Shimmering sprays of silvery pink flowers open in late fall from dark mauve incurved buds. 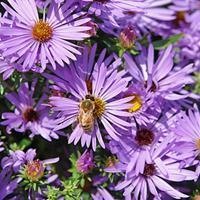 The leaves turn dark maroon as the weather turns cold, contrasting with the soft pastel blooms. 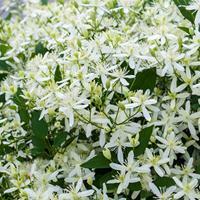 A rare selection for extending the flowering season in your garden. 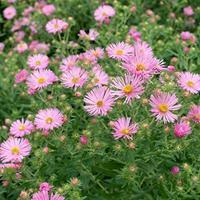 Early blooming, repelling deer and rabbits while attracting bees, excellent as a cut flower, top-rated in trials, and melt your heart soft peachy pink daisy blooms; 'Peaches and Cream' has everything going for it. Invite this beauty into your garden for years of enjoyment.